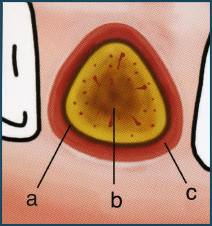 Unfortunately after a tooth is extracted, the surrounding bone starts to resorb or is lost by the normal healing process. 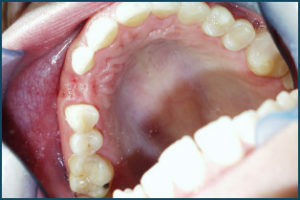 Also, some teeth that are infected from periodontal disease or from an acute infection have lost bone surrounding the tooth. Therefore, in order to prevent the normal process of bone resorption and to replace the missing bone from the infection, bone is immediately added to the socket after the tooth is removed. 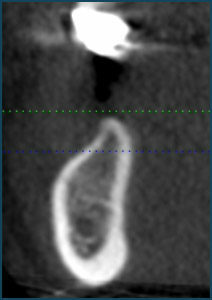 Figure 1 and 2 show the loss of jawbone in width in the front of the upper jaw and the back of the lower jaw. 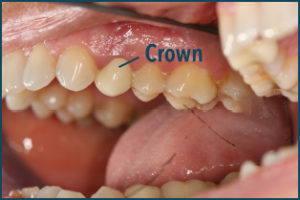 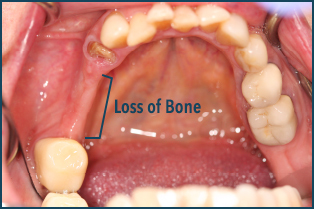 Both cases have resulted in bone loss within one year after the teeth have been removed. After the tooth is removed, the socket is thoroughly cleaned and all of the infected tissue is removed (figure 3). 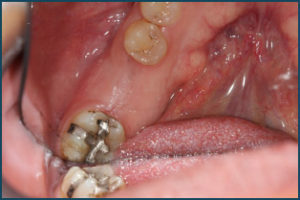 The socket is filled with very small pieces of bone particles. 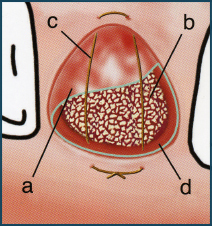 The bone is condensed in the socket and covered with a resorbable collagen membrane (figure 4). 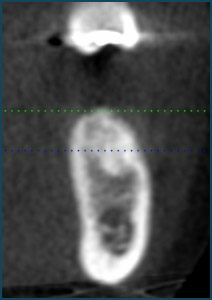 Figures 5 and 6 show a CT scan of the mandible (lower jawbone) of an tooth socket that was not and one that was grafted. 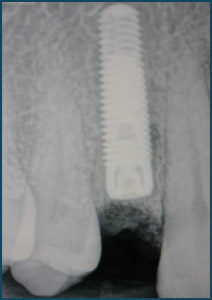 One can see that the socket that was grafted is able to maintain its width of jawbone more than the socket site that was not grafted. 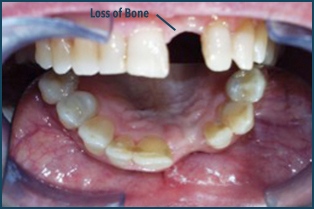 During the next 3-4 months, the bone graft in the socket is replaced by the patient’s own bone. The bone that replaces the graft bone is more dense, and healthier than the surround bone in the jaw. 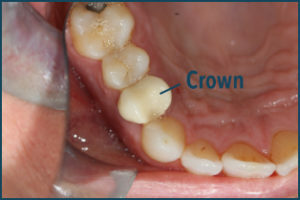 It also is able to maintain the normal width of jawbone (figure 7 and 8).